The Super Series was merely an updated version of the Fleetline tractors. However, during the Super production, a few more models had been added to the line. In late 1954, the Super 66, 77, and 88 were introduced. While they were similar in appearance to the Fleetlines, the Supers had an open engine compartment. They also had flat mounting plates incorporated into the frame for bolt-on implements (Row Crop models). Horsepower on all models had been increased by changing the bore and stroke or changing RPMs. Also added in 1954 was the Super 55. This new utility tractor was built to compete with Ford’s utility model and fill a void in the Oliver line. It also used a 4-cylinder Waukesha engine. The Super 99 was a new design compared to the Fleetline 99. It used a 6-cylinder gas or diesel Waukesha engine or a 3-71 GM engine. This was the biggest tractor in the lineup and with the GM engine was rated at 77 drawbar horsepower or 5-6 plow. Late in the production of the Super Series, Oliver introduced the Super 44. This small 21 horsepower tractor was designed for the small farmer or for cultivation. 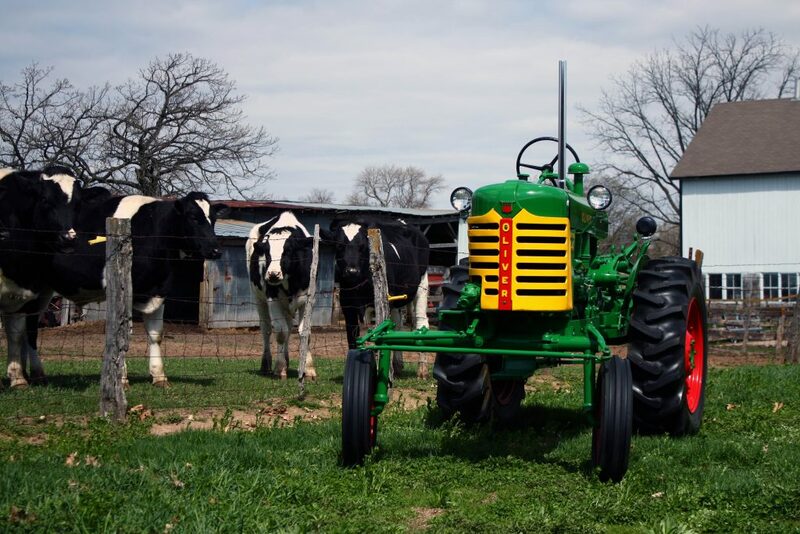 This tractor wasn’t introduced until 1957, so only 775 of them were built before the series changed. When the Super series was introduced in 1954, they all had green wheels. Many dealers painted them back to red because that was more popular. In 1957, Oliver went ahead and changed back to the red color scheme so any models leaving the factory after January 1, 1957, once again had red wheels like the former Fleetline series.